Surgery of the eyelids is performed for a number of reasons. Eyelid surgery can be performed for both functional and cosmetic reasons. In most people, eyelid surgery is mostly performed for cosmetic reasons because hanging or drooping eyelids can cause a person to look old and give a very fatigued appearance. The excess of skin can be removed by surgery and this can give the patient a more alert appearance. The eyelid surgery that is done to correct ptosis is a different surgery from this procedure. Eyelid surgery which is done to remove excess of muscle or fat from the upper or lower eyelids is known as blepharoplasty. The surgery which is done for ptosis involves tightening of the levator muscles which hold the upper eyelid in place. Levator muscles can become loose due to age or injury. In an eyelid surgery, the procedure may only involve excision of skin or may involve the muscle also. In some cases, the eyelid surgery may need to be performed on upper eyelid as well as the lower eyelid. In most normal cases, the eyelid surgery is performed when the patients is not experiencing any problem with vision but wants to improve his/ her appearance. So, the eyelid surgery in such cases is not a medical requirement but a cosmetic need. Because of ageing the skin on upper or the lower eyelids may become loose and because of your eyelids you may appear to be older than you actually are. Because of ageing, the skin loosens and the fat starts to bulge out and in many cases this may occur because of genetic predisposition also. Though in most cases in India, eyelid surgery is still performed by ophthalmic surgeons, the ideal and best choice for eyelid surgery would be an oculoplastic surgeon. An eyelid surgery may also be performed to restore the proper functioning of the eyelids. In some cases the skin of the upper eyelids may become so loose that it starts to interfere in the normal day to day life. Also, because of the excessive skin on the upper and the lower eyelids a patient may find it difficult to wear glasses. In such cases also eyelid surgery is performed to help improve the quality of life of the patient. Because of the loose skin of the eyelids, the skin surfaces may rub together which causes infection and irritation in the folds of the skin. Is an eyelid surgery the best procedure for you? If you are not sure about whether or not an eyelid surgery is the best procedure for you, then you must consult the best surgeon who will test your condition and tell you if surgery is the best option for you. If you have sagging eyelids that are hampering your overall looks and appearance and you want to fix them, then an eyelid surgery could be the best option for you. The best way to deal with any surgery is to have realistic expectations form the outcome of the surgery. In India, an eyelid surgery is a fairly common procedure and most hospitals in Mumbai perform this, but whether you are getting an eyelid surgery for functional or aesthetic reasons you should get the top oculoplastic surgeon to perform your surgery. One of the top few things to know about an eyelid surgery is that if it is not performed properly, then a follow up surgery may be required. Dr. Shome who not only is one of the top few oculoplastic surgeons and the best facial plastic surgeons in India but also the co- founder of the Esthetic Clinics in Mumbai, throws some light on the eyelid surgery. The eyelid surgery in India is could be done under local or general anesthesia depending upon how complex the surgery is. When he performs the eyelid surgery in Mumbai, he decides the surgery plan on a case to case basis. He says that patients who come to him in Mumbai for the surgery come with various misconceptions about the eyelid surgery. Many patients who come to him to Mumbai for the surgery want an absolute quick fix that would last forever. But he says that with more awareness in India, such unrealistic expectations and misconceptions can be tackled with. His advices to all his patients who plan to come to Mumbai and the rest of India is to avoid any blood thinning medication before the surgery. At The Esthetic Clinics in Mumbai, many patients just want a cosmetic eyelid surgery so that their eyes look more open. In India, more and more people are now open to the idea of cosmetic eyelid surgery. This has lead to inevitable sprouting of uncertified beauty clinics all over India. Such clinics are existing in cities like Mumbai, Kolkata as well as non- metros. Such clinics all over India claim to provide top quality eyelid surgery, even though they do not have appropriate accreditation they still are operating. One needs to be very careful before stepping into such clinics anywhere in India. The best thing to do would be go to the best in the business and that is Dr. Debraj Shome in Mumbai. India is increasingly becoming the successful launch pad for various medical innovations and one the top contributors are The Esthetic Clinics in Mumbai. Dr. Shome is relentlessly working on a mission to provide quality cosmetic procedure at his clinics in Mumbai to people from all over India. His various achievements and innovations have made sure that people notice India and especially Mumbai as the new upcoming center for the best cosmetic medical procedures. You may find hospitals all over India but if you don’t want to risk your surgery going wrong visit Dr. Shome in Mumbai. The Esthetic Clinics stand for quality healthcare and top cosmetic services and the treatment you can get in Mumbai, we are sure won’t be possible anywhere else. 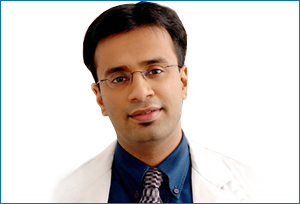 Dr. Shome is based in Mumbai since last many years.